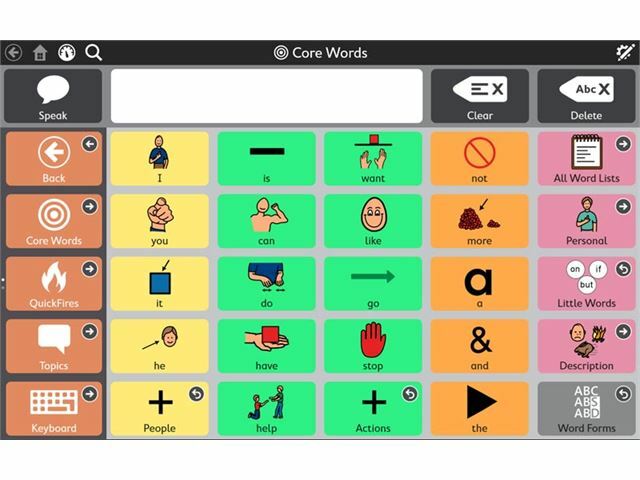 Indi was created specifically for Augmentative and Alternative Communication (AAC) and comes supplied with essential features fully integrated, providing everything users need to develop their own voice and build independence. 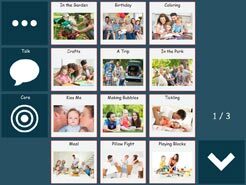 Indi is for symbol-based users who will benefit from a great speech solution, instead of using consumer tablets not intended for speech. 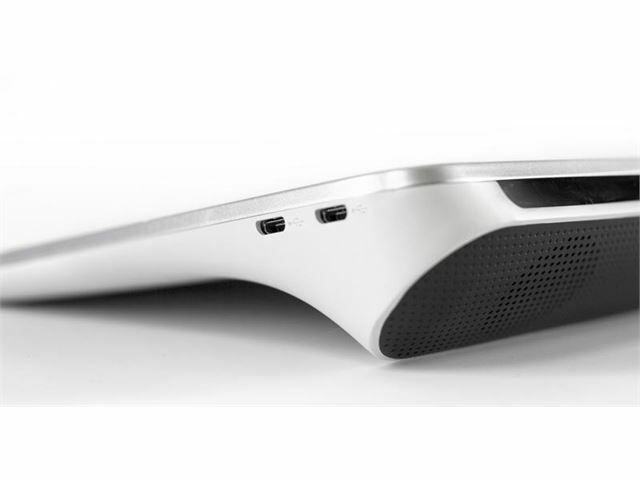 With an easy-to-hold, ergonomic design, Indi is ultra-portable and ready to use out-of-the-box. With powerful, outward facing, built-in speakers which provide clear speech, loud output and a wide range of authentic sounding voices. 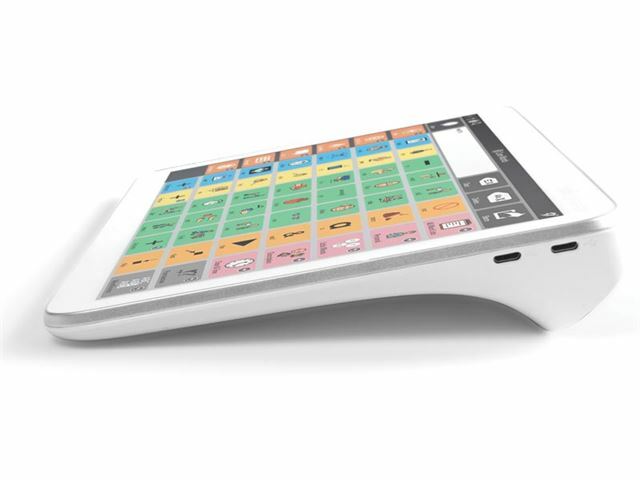 Indi adapts to access methods with numerous compatible inputs such as switch scanning, head mouse, touch with keyguards etc. 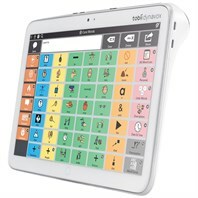 Indi is designed for everyday interactions with capabilities that go beyond speech communication such as environmental control, infra-red, access to social media, email and texting. Processor: Intel Atom Z8350 (4 cores, 2MB cache, 1.92Ghz). RAM: 4GB (Flash Storage 64GB eMMC). Screen: 10.1” (resolution 1920 x 1200). 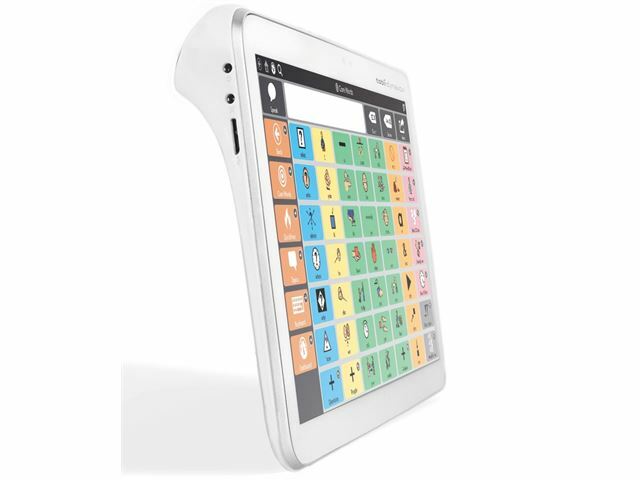 Touch Panel: Multi point capacitive touch. Connectivity: 2 x Micro-B USB 2.0, 1 x Micro-B USB 3.0, headphone/microphone jack. Infra-red, Bluetooth, rear-facing and front-facing camera, built-in rechargeable battery. Dimensions: 24.4cm x 17.6cm x 3.5cm. Warranty: 2 years as standard. Optional Tobii Dynavox Care*. Learning language, achieving literacy and becoming an independent communicator is a journey with many stages. Snap + Core First is an interactive and engaging software solution that meets each user wherever they are on their journey and evolves with them as they grow. 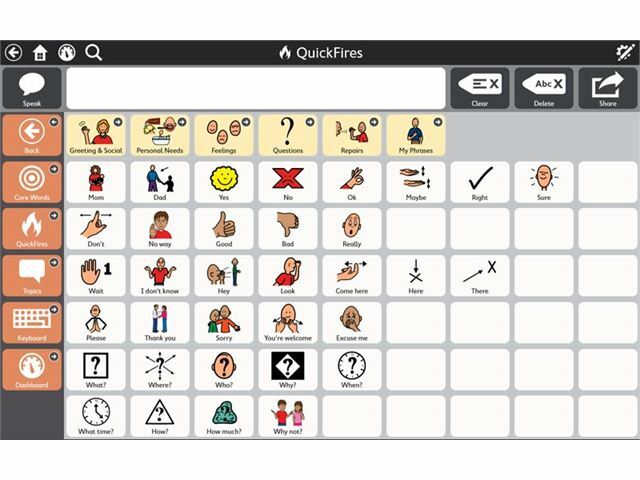 Provides a comprehensive ecosystem of support and resources through a free App. Why is it easy to use? Snap is centred on consistent design and organization across all pages and navigation, which means that users and those who communicate with them will find Snap intuitive and simple. How does it help users grow? 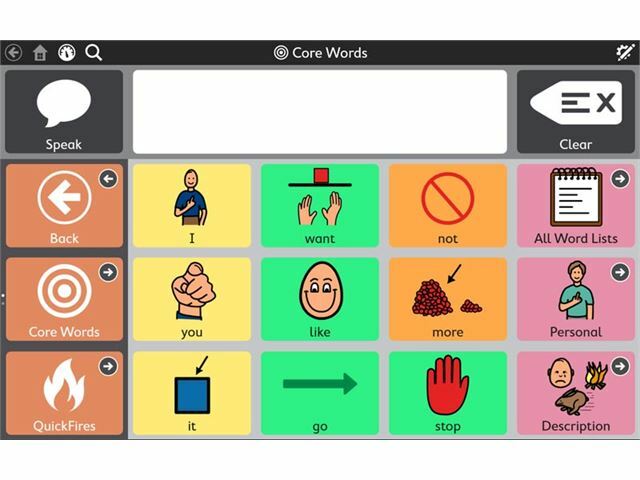 Based on proven research by the University of North Carolina Chapel Hill, Snap + Core First was designed to help users to move forward on their communication journey. 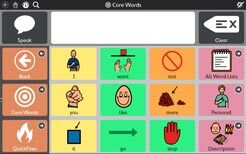 As they evolve, Snap + Core First will evolve with too – meaning they’ll never lose what they’ve already learned as they unlock additional vocabulary and new concepts. Why is engagement important? Snap + Core First allows its users to be engaged in quick, real-time conversation about the topics that are most important to them. By moving throughout the tools provided, communicators can actively stay a part of the conversation they are participating in and remain engaged with communication partners. Is literacy possible? 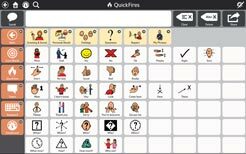 We believe that all communicators should have access to literacy tools. No matter the starting point, Snap + Core First will help to continuously grow skills and build upon them –making literacy possible. 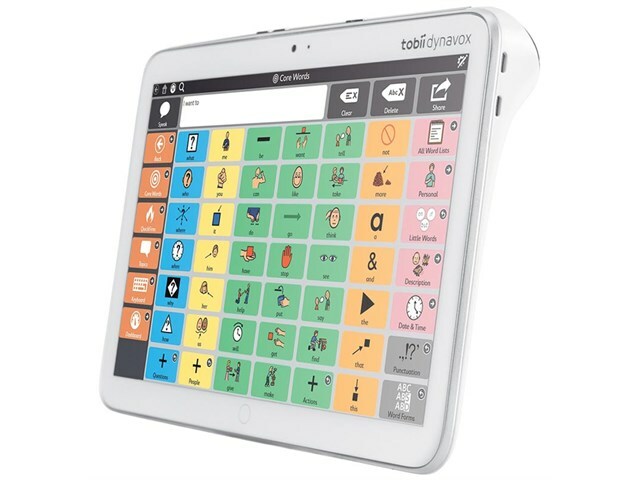 Alternatively, for those users progressing from symbol-based AAC and literate users, the Tobii Dynavox Indi can be purchased with Tobii Dynavox Communicator 5 pre-installed. Accidental damage protection during warranty time (no limit to the number of repairs throughout the period). Batteries and chargers included (Replaced/repaired at no cost). FREE return shipment after repair. Remote trouble shooting (requires internet connection). TD Care doesn’t cover loss or theft of the device, damage caused by deliberate action, misuse or neglect, damage caused by any attempt to open the device (which will void the warranty) and any third party software or software that has been installed after initial purchase.